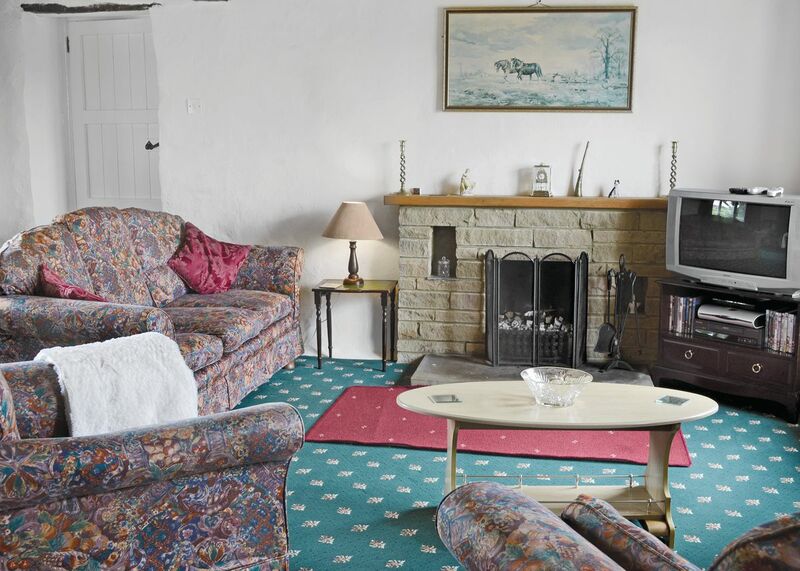 Beautifully restored and delightful, this peaceful beamed farmhouse (all of white building) sits on the edge of the Lake District, 1 mile from Milnthorpe’s shops, pubs and restaurants. It adjoins the owner’s home, beside 33 acres of riverside pasture with free fly fishing, walks, paddling and picnic areas. Lake Windermere is 10 miles and a host of attractions are nearby. The New Hall Inn is also referred to as the Hole in t' Wall and proudly carries the title of being the oldest pun in Bowness, and is ideally located in the heart of the village. It was constructed back in 1612 and remains pretty much today as it was back then other than the inclusion of electricity and central heating. It has a true olde world charm and a lovely warm and inviting atmosphere, you will find both the staff and locals to be friendly and chatty. 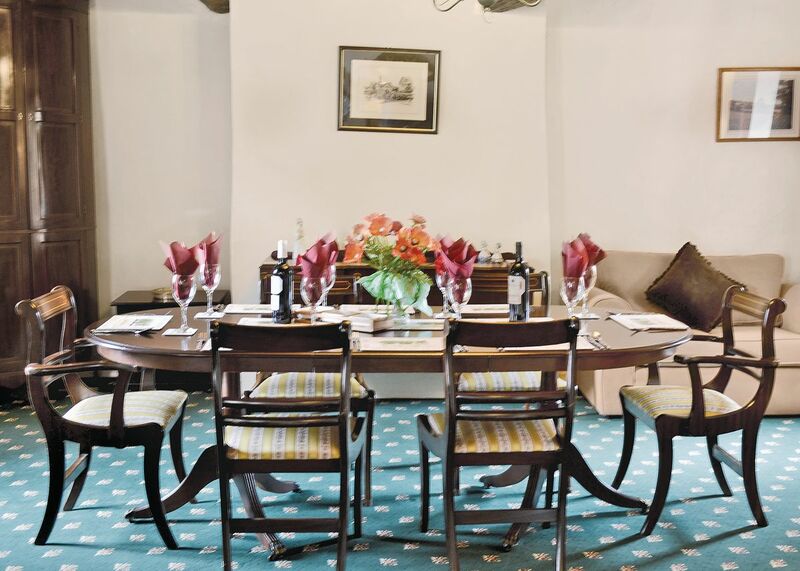 It is full of character with a traditional decor and is decorated with unusual and quirky items. Enjoy a drink by the roaring open fire as you soak up the lovely pub atmosphere. The Hole offers a diverse choice of cask ales and excellent hearty pub grub, that is available all day with great customer service. There is a patio/beer garden area that is heated so can be used all year round and is particularly pleasant on a warm summers day. The New Hall Inn is popular with both locals and visitors and it is not difficult to see why, a lovely traditional pub that should not be missed. Every journey is exciting when it's taken with Dave's Adventure Company! Discover the best of the Lake District, Cumbria and Yorkshire with group and family tours. Multiple day extreme outings are offered which feature canyoning, mountain walking, caving, abseiling, climbing, ghyll scrambling, kayaking, canoeing and climbing. See natural terrain and landmarks in a whole new way by going on an adventure with Dave's! Experience the great outdoors in a whole new way with Crags Adventures! Book a session and enjoy fresh air, natural scenery and the adrenaline rush that comes with abseilling, rock climbing or Ghyll scrambling. Services for stag and hen parties are available. Educational courses are offered that include learning how to lead, navigation skills and winter survival skills. Mountain Goat Day Tours bills itself as the "best way to see Lakeland." Travellers can explore all the best sights and attractions in the area by choosing a unique tour offered by Mountain Goat. Christmas shopping trips are available as well as daily tours covering Beatrix Potter's countryside, Yorkshire Dales, Ten Lakes, Hadrian's Wall, Tarn Hows and the South Lakes. Bluebird Tours of Coniston provide travellers with a convenient, relaxed way to see the area. groups of up to 16 individuals can book tours which cover many of the region's key landmarks and attractions. Multiple routes are available, including the Northern Lakes Explorer, Wordsworth's Lake District, Ravenglass Steam Railway and the Campbell, Coniston and Copper tour. The Lake District Walker offers the most exciting way to savour this lush region. Take a navigation course or traverse Scafell Pike. Go Ghyll Scrambling and slide down waterfalls, jump into refreshing pools and prepare to get wet! A wide range of instructional courses are available ranging from one to five days in length. Black Knights Parachute Club is a premier parachute centre that offers the UK's highest dive at 15,000 feet, and gives those who enjoy this thrilling and exhilarating extreme sport, a professional and safe environment. They also offer wingsuiting a new and growing trend that is attracting enthusiasts or "flockers" as they are known who wear special wing suits that allow them to glide and enjoy the amazing views from 15,000 ft above ground. In addition they offer a choice of dives including, formation, free flying, tandem, skydiving and more. If you choose to jump here you can be assured that you are in safe hands the team is so professional and safety conscious and the equipment is all maintained to a high standard, they have the ability to put you at ease and relieve some of those nerves. It is probably one of the most nerve wracking and scary things to can do making the decision to jump out of a plane but, it is the most exhilarating and amazing 60 seconds that you will ever have. You can jump to fulfil a personal ambition or make your jump worthwhile and raise money for a charity. It is a experience that will last with you for a lifetime. Black Knights Parachute Club is faultless and will make your experience memorable and you will be left wanting to return and jump again. Watersports activity centre with a wide range of equipment available and a great location for waterskiing, windsurfing, sailing and canoeing — just a few of the activities on offer. Enjoy the open air and good sport at the 160 acre Staining Lodge Golf Course. This beautiful expanse includes stunning views that's conveniently located a mere 10 minutes from the M55, Blackpool, Kirkham, Poulton Le Fylde and St. Annes. Stop by the club house for a delicious homemade soup, panini, sandwich, salad or hot foods. Gresgarth Hall is the concept and product of the talented garden designer Arabella Lennox-Boyd who took up residence here in 1978. These are her own private gardens that are open to the public once a month, you will need to check for opening times. They are picturesque riverside gardens, with terraces, herbaceous borders, a kitchen garden, woodland garden and bog garden that surround a beautiful house. There is a huge number of different species of plants and trees here and they are all labelled. Regardless of the time you visit you are awarded with a stunning arrangement of plants and a riot of colours and aromas. They provide an oasis of calm, peace and tranquillity and the surroundings are beautiful. There are refreshments available here, they are all homemade and delicious and are great value for money. Gresgarth Hall is a delight for both avid gardeners and non gardeners you can't help but be impressed with these amazing surroundings, the perfect place to pass a few pleasant hours. Williamson Park comprises of 54 acres of stunning parkland and endearing parkland walks within Lancaster. The park has a number of attractions that include the magnificent Ashton Memorial, the Edwardian Butterfly House, ponds, a Pavilion cafe that offers free wifi to its customers and play areas for younger visitors. 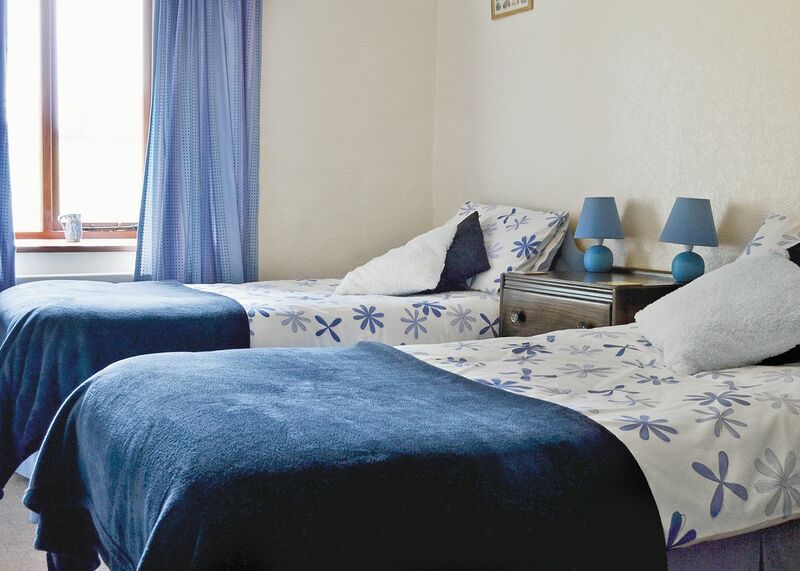 The park affords stunning views to the Fylde Coast, Morecambe Bay and the Lake District. In addition the park hosts a number of events and activities throughout the year including, concerts, plays courses as well as children's activities. Entry to the park is free but, there is a nominal fee if you want to go into the viewing gallery of the Ashton Memorial, it is a folly with lots of architectural details, and offers great views from its balconies, it has strong historical connections to the War of the Roses. There is a small charge for the Butterfly House, that also houses some mini beasts and a small animal zoo. Williamson Park is well maintained and there is lots of seating to enjoy the lovely flower beds and great views. Throughout the park you will find the staff to be friendly and approachable and they enhance your day here. Williamson Park offers something for the whole family and offers an amazing space to enjoy some lovely scenery, in a peaceful environment. It is worth checking to see what events are taking place here the summer outdoor theatre is brilliant and should not be missed if you get the opportunity. Holehird Gardens is the official home of the Lakeland Horticultural Society. This gorgeous, lush area features some of the most breathtaking green spaces in the region. The entire garden spans 17 spacious acres with hillsides covered in shrubs, trees, heather gardens, rocks, a walled garden and alpine houses. This location is also a popular spot for public events. Explore the peaceful countryside that makes Tarn Hows so relaxing! Travellers can explore lush wooded spaces while taking in the most majestic mountain views in the area. Go for a stroll or enjoy a picnic with friends. The region is also home to rare Belted Galloway cattle and Herdwick sheep. Located at the centre of Ambleside, White Platts is a gorgeous recreation area that offers some of the most popular miniature golf along the lakes. The 9 hole course offers a variety of challenge levels for players. The grounds also include three full size tennis courts and a bowling green. Skelwith Force is a beautiful waterfall located in the Lake District. Recognised as one of the smaller of its kind, this captivating land feature is very easy to access. The area includes lush growth and dark rocks that create the perfect backdrop for this tumbling performance. Water cascades over the edge, forming sprays that fill a churning pool. While the drop isn't enormous, the volume of water is very impressive. Woodmatters was created to spread awareness of the many benefits of sustainable woodlands in Cumbria. The organisation helps manage the green woodwork, Bushcraft courses and the community wood fuel scheme. Unique courses are offered through out each month, including spoon carving and family Bushcraft camping. Visitors can also shop for wood-based products such as bean poles, charcoal and kitchen utensils. Bootleggers Bar offers a wide range of live music, including seasoned artists and budding college bands. Free and paid gigs are offered throughout the week with a DJ taking over each Saturday evening. Farrers coffee, tea and free wifi are also offered. The upstairs gallery bar can be hired for private gatherings and gigs. The Morecambe Winter Gardens Theatre started life back in 1897 and was known as the Victorian Pavilion theatre, it is located in a prime position in the middle of the promenade and has lovely views out over Morecambe Bay. It is a beautiful Victorian building with many fine architectural features and the inside is being carefully and lovingly restored to its original glory, following years of neglect. Over the years many famous and talented artists have graced the stage and today it still continues to host a range of performances that attract people to this timeless and classic theatre. In addition to the usual programme of events they hold you can become a ghost hunter and enjoy a night of paranormal activity in this haunted venue. If you would like to take a tour of the theatre these can be arranged by contacting the theatre. If you get the opportunity to visit the Morecambe Winter Gardens Theatre do, you will be helping in maintaining and bringing this beautiful building back to its former glory. Lancaster Institute for the Contemporary Arts is found on the Lancaster University Campus, it is a real cultural hub and brings a wonderful programme of events here every year consisting of, UK and international artists, professional theatre, dance, exhibitions and concerts. It is a contemporary venue with superb facilities that are divided into the Peter Scott Gallery, Lancaster International Concerts and Nuffield Theatre. It also acts as a research and teaching facility for art, design, film studios, music theatre studies. The Peter Scott Gallery hosts exhibitions as well as preserving the University's art collection. Happy Mount Park was first built in 1920 to serve as a traditional urban park area and it continues to serve the residents to this day but with more modern touches whilst still retaining its original charm. The park is open daily from 8.30am and closing times vary depending on the time of year, there is no charge for entry although some of the attractions will incur a cost but they are very reasonable. The park is well maintained by volunteers who do a great job in keeping it clean and tidy. There is so much available here to entertain everyone with a Splash Park, open from May through to early September, Pirates in the Park indoor play area, outdoor natural adventure play area, bowling green, 18-hole putting green, miniature railway, swing boats, trampoline, crazy golf, ornamental gardens, woodland walk, habitat trail, childrens roundabout and floodlit pitches. You could easily spend a full day here enjoying the lovely parkland setting, when the flowers are in bloom it is stunning. Throughout the year the park operates a number of themed events in addition to a selection of the best Brass Bands around playing on a Sunday from the middle of May through to the middle of September. You can bring a picnic or visit the cafe where they serve a good selection of beverages, light snacks and refreshments. Happy Mount Park offers something for everyone and is free too, not many places offer that today. Bay Sea School offers you the opportunity to learn how to sail in the safe environment of Morecambe Bay under the watchful eye of the highly trained and skilled instructors. It is not necessary to have any experience they take complete beginners who want to learn the basics through to those that want to complete all courses right up to Yachtmaster level. Both instructors are very friendly and passionate about what they do and have plenty of patience and encouragement for those learning to sail, and will go the extra mile in their teaching. Under their watchful instruction it won't be long till you are sailing by yourself with confidence and enjoying this wonderful sport. Sailing gives you the opportunity to escape from it all on the waters where you can revel in the peace and beauty. Bay Sea School are unparalleled in their teaching techniques and are the only place to go if looking to learn how to sail. Sailing Dinner Cruises offer the perfect experience on the beautiful Lake Windermere, as you sail aboard this luxurious 38ft cruiser yacht, taking in the beauty of the lakes and the stunning surroundings and soaking up the peace and tranquillity of the waters. The experienced skipper encourages all guests to try their hand at all aspects of sailing the yacht however, if you prefer you can simply relax on board that is fine too. This beautiful yacht can accommodate six persons on board and all safety equipment is provided. There are a choice of sailing options from half to full day hands on sailing, a murder mystery cruise, evening dinner cruise, afternoon tea cruise and champagne and cocktails cruise or you can privately charter the yacht. The skippers David and Veronica are lovely people, friendly, hospitable and knowledgeable and have lots of information and stories to tell, making for a wonderful excursion. The yacht is beautiful with lots of amenities and is very comfortable and smooth on the waters. Sailing Dinner Cruises is the only way to see the lakes, a truly memorable and delightful experience, great food, hosts and setting. Sail 'n' Dine is located on the beautiful Lake Windermere in the picturesque Lake District, and gives you the ideal opportunity to take in the beauty and tranquillity of the lakes whilst enjoying fine wines and fantastic food. You are taken aboard a premium sailing yacht where you can relax in the comfortable and luxurious surroundings and all the amenities on board that make your trip as enjoyable as possible. The glass panoramic roof windows allow you to take in these magnificent surroundings and you will find her to be a smooth and steady on the waters. This skippered yacht can accommodate upto nine people depending on the sail option you choose. There are a choice of sail options from sailing by the hour to half days on the lake or an evening sail and dine or perhaps a romantic stay over, all will award you with the peace and tranquillity of the waters and splendid scenery. It is recommended to wear soft non-slip shoes and to wear warm clothes for those cooler days and don't forget the camera, you are assured to get some lovely photographs. Sail 'n' Dine is operated by John who is very capable, friendly, professional, knowledgeable and passionate, he will ensure you have a memorable excursion with lots of history and stories leaving you wanting to come back again. The prices are very reasonable for the quality of the overall experience and standard of service you receive, highly recommended. Blue Green Yellow Dead ...Live is a unique and live action game that incorporates a maze, paintballs and zombies in this thrilling and exciting interactive game. Within the confines of this dark and eerie environment you have to seek out the three vials, blue, green and yellow or you could end up dead. You are equipped with a paintball gun but, have a number of obstacles to overcome as well as the resident zombies and your own fears. All equipment is provided and a full brief is given before you start a game. There are various levels to play with each game taking about an hour to play. It is an interactive game so can be played in a group or a s a single player and you can check the footage out afterwards. The staff are great very friendly and they are continually improving the overall experience with new rooms and new game objectives. The prices are very reasonable too and excellent value for money for what you get. Blue Green Yellow Dead .. Live is a fantastic experience full of thrills and will get your adrenaline pumping, the perfect activity for a group, will soon separate the brave from the scared! The Duke is a producing theatre and an integral and popular part of the cultural heritage here in Lancashire and they are heavily involved in outdoor theatre productions. It is also an independent cinema and home to Shattering Images, a fantastic theatre company aimed at those with learning disabilities. There are two theatre areas, a large theatre for the major productions and a smaller theatre for more intimate plays, the atmosphere here is always welcoming and friendly. They run a diverse program of events and some interesting plays, some by visiting theatre groups and musical events, as well as displays by local artists and a good combination of popular and foreign films and those by up and coming directors. Within the theatre side they strive to put on a professional performance and the result is always fantastic and the actors are excellent in portraying their characters and roles. With the varied programme of events there is always something worth seeing. There is a large bar that serves a selection of beverages and hot and cold snacks, throughout the day, it has a lively and friendly atmosphere. If you become a Friend of Dukes you get some great deals although the ticket prices are very competitive and good value. Check to see what is coming up at The Duke and come and experience this lovely theatre for yourself. Brave travellers looking for a fun thrill can test their endurance and stamina at Treetop Trek! This exciting course includes two levels of high ropes with a low course hanging at 4 to 7 metres. The higher levels rise to 17 metres and includes swings, wobbly logs, rope bridges and much more, all tethered to big green trees! Lakeland labels itself as one of the "U.K.'s home shopping pioneers." This enjoyable retail experience includes an enormous catalogue that focuses on home wares. Find something special for the kitchen, including unique merchandise that's difficult to find elsewhere. Around the home items include furnishings, bins, cleaning accessories, organisers, electricals, laundry accessories and travel items. For over 6 years, Raw War Paintball has been supplying high intensity excitement to locals and travellers. Test your abilities in any of 12 paintball game scenarios. Eight unique combat arenas are available, each equipped with a variety of forts, villages, towers, bridges, rivers and old mine works. Instruction and supervision is provided to make sure everyone stays safe while they have a great time. Have you ever wanted to drive your own 4x4 on an off road adventure? Kankku Off Road Driving Adventure offers travellers the rare opportunity to take the wheel and navigate rugged terrain. Sessions are designed for drivers of all skill level, from the beginner to the seasoned adventurer. Brave visitors can choose from a variety of tour packages, including a self drive 4x4 safari, bring your own 4x4 and team convoy challenge. Prove your abilities on the field of battle by booking a session at Raw War Paintball! This fast-paced attraction includes 10 of the largest combat arenas in the United Kingdom. The 220 acre site contains giant wooded regions, quarries, old mines, metal military bridges, rivers, forts, concrete structures, towers and much more! Forrest Hills is an oasis of beauty and tranquillity here in Lancaster, located on border of the Forest of Bowland, it is a naturally stunning and tranquil country setting. It is positioned in 180 acres including two lakes, a river and woodland and grassland, facilities here include an 11 hole pay and play golf course and a four acre fly fishing lake. It is a lovely location with a picturesque backdrop, and lots of wildlife including, deer, hares, buzzards, kingfishers, barn owls and much more, there is a diverse range of animals living here. Forrest Hills offers lovely pleasant surroundings to pass your time. Just over the village of Coniston rests the Coniston Old Man. This fell, which is part of the Furness Fells, offers captivating views and an exciting opportunity for outdoor adventure! A slate platform and cairn is found at the summit. So many make the journey that the local sheep are familiar with people and often act tame towards newcomers. The Grasmere Chocolate Studio bills itself as the "little chocolate shop with a big heart." This unique retailer sells a rich collection of delicious confections that are guaranteed to tempt your sweet tooth. Explore handmade products or look for the perfect gift for a loved one. The studio also hosts workshops so patrons can learn more about the chocolate making process. The Herdy Shop has been offering responsibly-produced merchandise since it was established in 2007. This unique retail experience carries a diverse catalogue of high quality items, ranging from mugs, kitchen wares and foot to clothing, accessories and crafting tools. A percentage of profits are donated to the Herdy Fund each year. Sam Read Bookseller is the place for avid readers. Explore a unique collection of books that come with excellent service. The shop was originally established in 1887 by Sam Read. It passed hands five more times throughout its 123 years in operation. Sam Read's is open almost every day so you can always find time to stop by during your stay! Pamper yourself with a visit to the Langdale Spa! This luxurious facility is part of the award-winning Langdale Estate. Found right at the centre of the Lake District, this venue provides access to a UV-treated swimming pool, whirlpool spa bath, massage seat, deluge shower, lounger chairs, steam room and much more! Fleetwood Market is a bustling and vibrant traditional market that has more than 150 indoor and outdoor stalls. It is located in Victoria Street in a charming building. This large market has three different areas and has a diverse selection of stalls that include food, quality clothing and household goods all at competitive prices. Trading days are Tuesday, Thursday, Friday and Saturday, as well as Bank Holidays and Tram Sunday throughout the year from 9.00am to 4.30pm. The stall holders are friendly and chatty and happily engage in banter. The Bowland Brewery started operating in 2003, brewing hand-crafted real ales using the finest produce. There is a fully licensed café next door. Try your luck by joining in a few exciting games at Mecca Bingo! This inviting venue provides a number of cosy amenities so you can relax, play and try to come out a winner! A bar is available as well as dining opportunities that feature freshly prepared food. Convenient parking, free ATM and electronic bingo system are also provided. Kids and adults will love seeing the many animals that call Blackpool Zoo their home. Daily feeding times are available so you can plan your visit to see everything you want! Talks are also offered so visitors can learn more about each animal. On-site cafes and gift shops are also available. Enjoy all the charm of the Elizabethan Levens Hall. For more than five decades, this gorgeous structure has drawn in curious visitors. Tremendous conservation efforts have gone into maintaining the garden and park. Explore the Great Hall, Dining Room, Drawing Room, Library and Bedrooms while learning about the legends surrounding this great house. The award-winning Lakeland Museum offers a great way to delve deeper into the rich history of the Lake District. Find out what life was like in this isolated region before the railway and motorcar was made travel easier. Displays tell stories of the people who had a lasting impact on the district. The Quaker Tapestry Exhibition Centre began all because of an offhand remark made by an 11 year old boy. His teacher, an accomplished embroiderer, was inspired and envisioned large tapestry panels that tell the Quaker story. The project began in 1982 and expanded over the years. Today more than 4,000 individuals of all ages across 15 countries have contributed. Blackwell Arts and Crafts House offers visitors a unique opportunity to view up close the wonderful and highly acclaimed work of MH Baille Scott, this beautifully maintained house is a true celebration of his work and the revolutionary Arts and Crafts Movement at this time in the twentieth century. 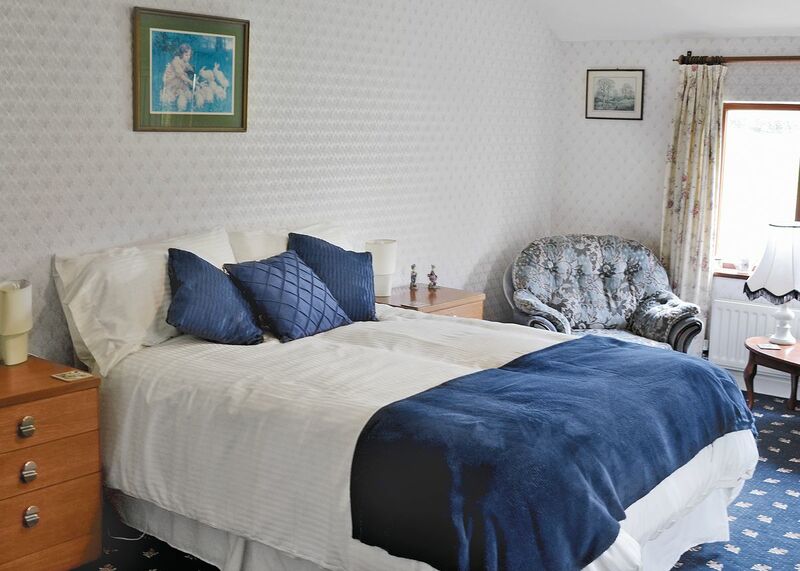 Today the house is classified as one of the most endearing historic houses in the Lake District, situated in Bowness in an idyllic position on the hill overlooking the beautiful Lake Windermere. The house is a celebration of the beauty and craftsmanship of this time and many of the wonderful original features are still here, as well as the furniture and furnishings of the time and you are free to roam around there are no restricted areas. A real bonus of Blackwell House is the amazing vistas it gives of this beautiful region of the Lake District. There are lots of stories and information pertaining to its history, as well as a number of exhibitions, there are staff available to answer any questions you might have. The house is open for the majority of the year except for the first couple of weeks in January. There is a charge for adults but children under 16 and full time students are free. The Tea Room is a warm, inviting and cosy and celebrates the simplicity of good food through their selection of homemade hot and cold dishes and beverages, they are delicious and excellently priced, and the service is very good too. The craft and book shop holds a lovely selection of the best pieces in craft, art and books and much more, you are sure to find a nice souvenir here. Blackwell Arts ad Crafts House is an impressive and interesting experience for all, it is a unparalleled example of the Arts and Crafts Movement and should not be missed. Cottage Museum is located across from Lancaster Castle, it is part of a 1739 house that was partitioned around 1820 and is representative of an artisan's house of that date. This quaint museum gives a personal look at early Victorian life in a small and interesting 18th century cottage laid out over five floors, you will find a small cellar, laundry room, living room, bedroom and an attic. Opening hours are daily from Easter to September from 2pm to 5pm, and there is a nominal charge of £1 and it is so worth the money. Once you step through the tiny door you are immediately taken back to a former era, where there was no running water, central heating, electricity or even a toilet. As you wander through the small rooms you will be able to see first hand how the people lived and get a look at many original features and some of the gadgets and utensils that were used in people's daily lives, the difficulties and struggles they would have encountered, if this was someone who was well off it makes you consider what conditions the poor lived in. Just remember to watch your head as you wander around! The staff are lovely, so friendly and helpful and willing to answer any questions you might have, them dressed in period clothes is a nice touch and the stories are very interesting and entertaining. Cottage Museum will entertain people of all ages, you will be enthralled by the simplicity of life and entertained by the stories told, a delightful and insightful museum. Lancaster City Museum can be found in a grand Georgian building in the centre of the city. The museum is open Monday to Saturday and there is no entrance charge. It is a quirky but interesting museum with many features and uses imaginative presentation. The history of the city from past to present day is illustrated here and there is an extensive range of exhibits on show, they include an area dedicated to determining the ancestry of Lancaster's regiment from 1680 onwards, with medals, weapons, uniforms etc., there is also an excellent compilation of portraits and landscapes on display, artefacts, relics, medieval stone crosses and much more. In addition to the many permanent exhibits there are exhibits that frequently change together, with a range of events and activities for everyone. The exhibits are all clearly marked and well explained with information cards. The staff are so friendly and welcoming and are available if you need any information or questions answered. There are guided tours available that are taken by friendly and knowledgeable guides and are a great way to get the most out of your visit here. Lancaster City Museum narrates history in an informative and fascinating way, making it a perfect place for the whole family everyone will find something of interest here. 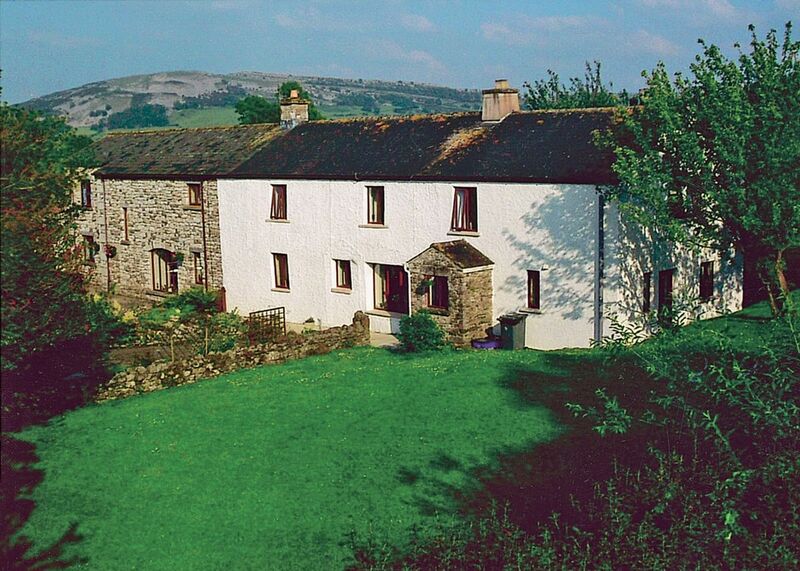 Hill Top is a charming landmark that includes the 17th century farmhouse of Beatrix Potter. Each room inside the structure contains a picture that hints at her classic tale. The nearby cottage garden contains a vibrant mix of beautiful flowers, vegetables and fruit. See the quaint place that inspired many famous children's tales! 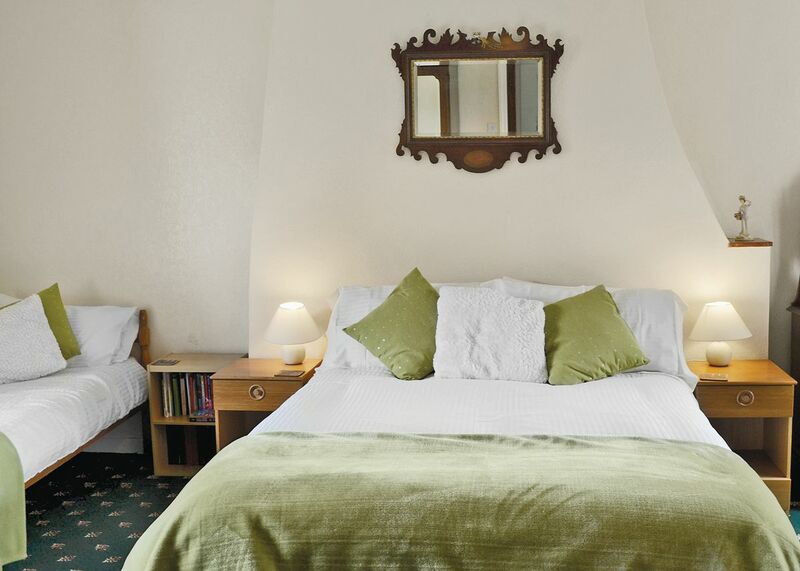 Brantwood is a beautiful landmark that once served as the home of Victorian era art critic, John Ruskin.This tranquil treasure is historically important as a centre for contemporary arts and the environment. Approximately 30,000 visitors stop by annually, making this a popular must-see attraction in the area. Exhibitions, courses, concerts and other events are often hosted on the grounds. The Steam Yacht Gondola is a rebuilt Victorian steam-powered yacht that offers the most relaxing views in Coniston. Enjoy the waterside scenery while learning about how the steam engines keep the vessel moving. Open viewing windows are accessible so passengers can observe the engineer as they feed the firebox. Cruises depart from the pier in Coniston. William Wordsworth is recognised as the most beloved poet in Britain. 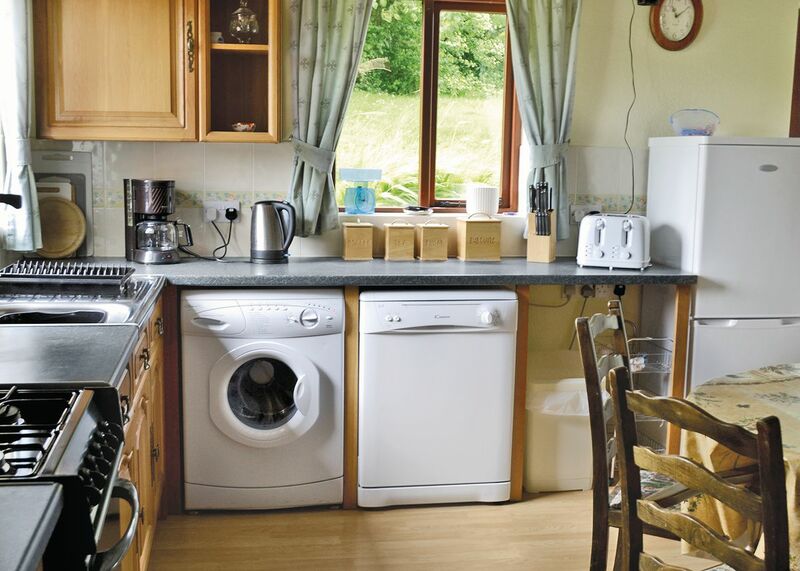 Dove Cottage is the first family home the he lived in along with his sister in 1799.This quaint little cottage contains beautiful furnishings and decor. Outside, travellers can enjoy a peaceful stroll through the nearby garden which is home to many graceful butterflies, birds and plant life. The Grasmere Gingerbread Shop is more than a store, it's a part of local history. The business dates back to the life of Sarah Kemp, who was born in 1815. After relocating, Sarah began producing and selling gingerbread. Her popularity grew and eventually the recipe was passed on to her great niece who sold it. Today travellers can stop by for a bite of some of the best gingerbread in the United Kingdom. The Wordsworth Museum can be found right next door to the famous Dove Cottage. Travellers can round out their visit by touring both landmarks. This fascinating attraction shares information on the beloved poet with handwritten pieces, paintings, maps, artefacts and interactive displays. Visitors should check with the museum for open hours and admission rates prior to stopping by. Fleetwood Museum is housed in the former Custom House, it is a charming Grade II listed building, that overlooks Morecambe Bay. The history of Fleetwood is covered from past to present, there is focus on the towns prominence as a Victorian seaside resort, its cargo trade, ferry services, its lifeboats, docks, local industries, see what people wore and how they lived and much more. There are two galleries that delve into the intriguing story of the towns largely successful achievements at deep sea fishing and inshore fishing which, were main industries in the town and at one time was the biggest port in the country. You can find out all about a fisherman's life and the extreme conditions they would have had to contend with. You can also see how certain fish and shellfish were collected from the shallow waters here in Morecambe Bay. To the rear of the museum is the salvaged and restored "Harriet", one of only a few remaining smacks in the UK, in addition to other large dockland artefacts, photographs and more. There is a bright and contemporary Coffee House that serves a nice selection of light lunches, beverages and delicious cakes. The gift shop has a choice of quality gifts and souvenirs for sale. The museum is open from March through to October, on Tuesdays to Saturdays from 11.00am to 4.00pm, as well as Bank Holiday Mondays. There is a small charge for admission for adults and children are free. Throughout the year they organise a series of events, talks, exhibitions, walks and much more, full details are on their website. The museum is run by volunteers who you will be to be very friendly, helpful and knowledgeable. Fleetwood Museum has an excellent collection of exhibits that are well laid out and displayed with lots of information about them, there is something of interest for everyone here, it is a comprehensive and fascinating museum and well worth a visit. Lancaster Maritime Museum is located in an elegant Georgian building, the former 18th century customs house and warehouse on the banks of the River Lune. The museum is open everyday and there is a small charge although, free to locals. It is an interesting and informative museum that traces the history and industry of Lancaster through trade which, was particularly important to the growth and development of Lancaster, being at one time one of the biggest ports in England. There is an assortment of items that connect the local merchants to their business activities and include a portrait of slave trader Dodshon Forster, and portraits of other prominent people. In addition there is a model of a Waterwitch, it was a luxury horse drawn long barge that brought passengers down the Lancaster Canal from Kendal to Preston, as well as a selection of vessels constructed and used locally including dugout boats and Hector. There is a main detailed exhibit dedicated to fishing which, was a major local industry both in the past and continues to be today. Exhibits are well laid out and have lots of information on them, as well as interactive displays and hands on features, it is probably best to start with the introductory film. The staff are lovely here, very friendly and approachable, they have lots of knowledge and are happy to impart this. There is a small cafe that serves a nice selection of beverages and light refreshments in pleasant and comfortable surroundings. Lancaster Maritime Museum is a great place to learn about the maritime history of the town, it might not appeal to all but, it is nevertheless both interesting and above all informative, definitely worth a visit. The Pennington family home since at least 1208, this impressive castle is now open for all to see. Built on Roman foundations, modifications and enhancements have been made over time as the family became more entwined in Royalty and politics. The castle itself has played an extremely important role in shaping the course of British history. Visitors can now enjoy Sino-Himalayan gardens, a meadowole maze, the world owl centre, Muncaster Interactive, numerous walks and trails, a playground, a café and a plant centre — a wonderful day out for all.